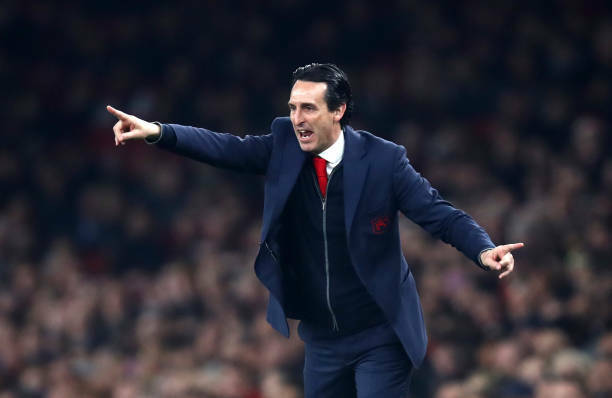 Asernal boss Unai Emery watched his side ease past Bournemouth with 5-1 win before setting his sight to beat Tottenham on Saturday to close within a point of their north London neighbours. 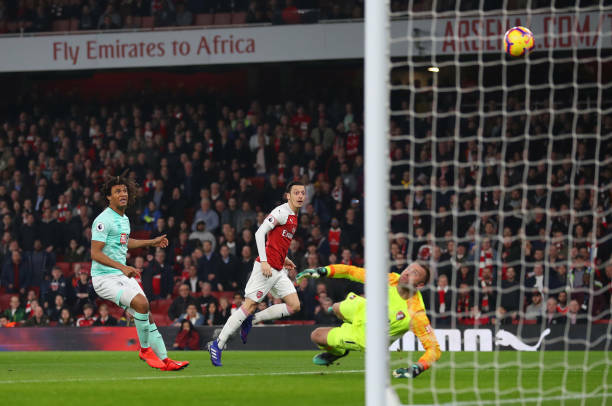 Mesut Ozil and Henrikh Mkhitaryan scored to put Arsenal on course for the win before Lys Mousset pulled one back only for Laurent Koscielny, Pierre-Emerick Aubameyang and Alexandre Lacazette to strike after the interval. 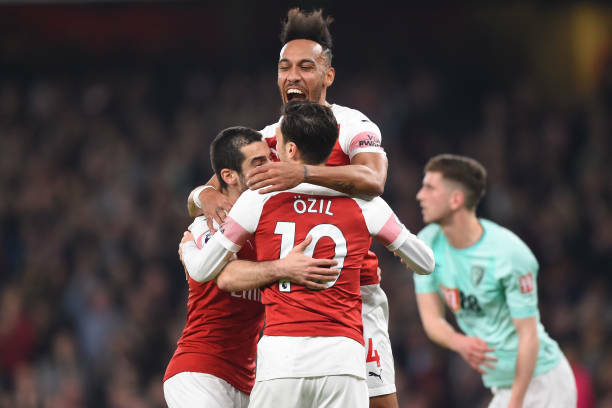 The win, coupled with Tottenham’s loss at Chelsea, means Arsenal head to Wembley this weekend four points adrift of their fierce rivals. They could close the gap further still by completing a league double over Spurs and Emery admits reducing the distance to just a solitary point will be a motivating factor. “We need to take the opportunity like today, these three points. After we can have and get an opportunity like Saturday. It’s one team that, at the moment, are better than us in the table. “I think it is very difficult there, to win, but it is a good test, a great test and a positive test. 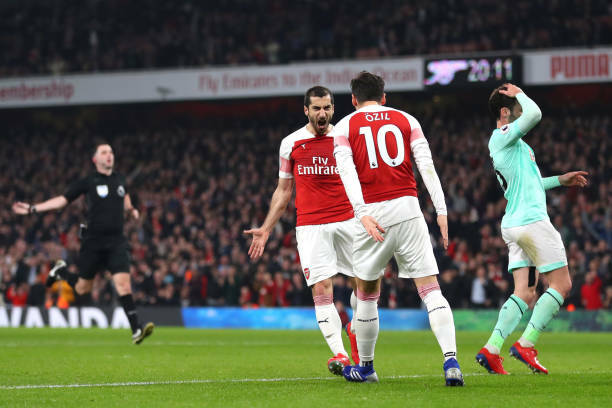 Ozil starred on his return to the team while Mkhitaryan is enjoying a strong run of form. Despite that, Emery would not be drawn on if the pair would retain their places against Tottenham. “Now, I am going to watch this match for the analysis and I am going to watch Tottenham (losing at Chelsea) and after decide our game plan against them with every player,” he added.